A well built, sturdy, durable, and comfortable bike. This bike looks good. The steel frame and fork comes in multiple colors. Easy to assemble as it comes 95% assembled and the instructions are clear. The combination of brakes provide many options to learn how to stop the bike. Easy to adjust the seat height for fast growing kids. Extra features include the bell, kickstand, and the water bottle with the holder. Brakes and Pedals need some fine-tuning. The quality of the water bottle is low. The water bottle holder does not fit well between the seat and a rear tire. The full water bottle can weigh the water bottle holder down and touch the tire. 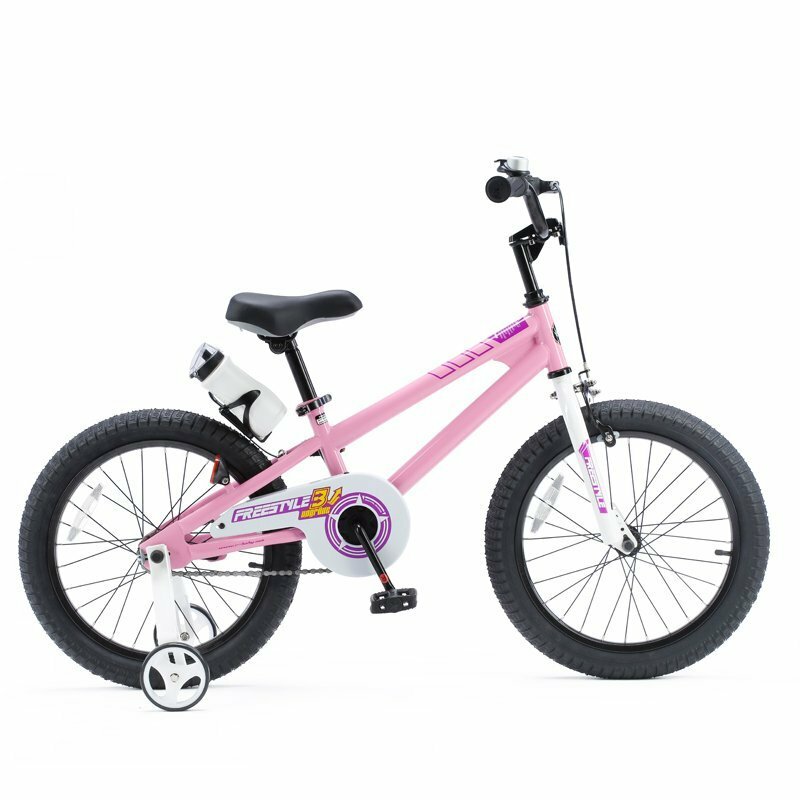 This is the summary of consumer reviews for Royalbaby RB18B-6P BMX Freestyle Kids Bike. The BoolPool rating for this product is Good, with 4.00 stars, and the price range is $100.79-$119.99. 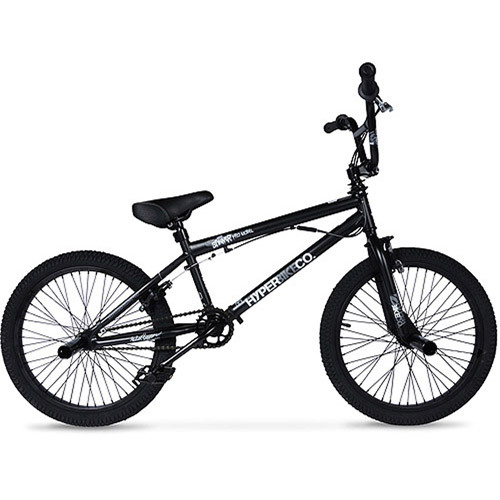 RoyalBaby RB18B-6P BMX Freestyle Kids Bike is a well built, sturdy, durable, and comfortable bike. 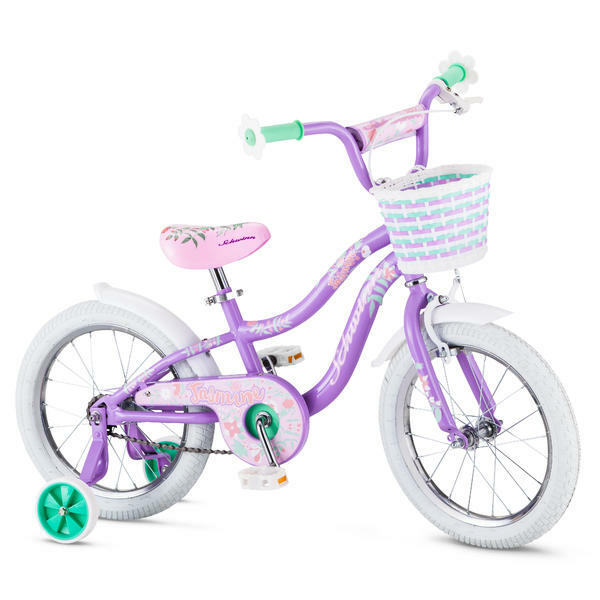 The bike has a sturdy steel frame and fork that is available in multiple colors (Red, Blue, Orange, Pink, White, and Green). The combination of brakes (front caliper brake and a rear coaster brake, and special kids size brake lever) provide many options to learn how to stop the bike. A quick release seat post makes it easy to adjust the height of the seat. The bike has knobby tires for all surface riding. This bike is easy to assemble, and it comes 95% assembled. Other features include one-piece crank, ball bearing drive shaft, P-shaped chain guard, non-slip resin pedal with reflector, cushioned seat and high back, Kraton soft rubber grips, and juvenile saddle. 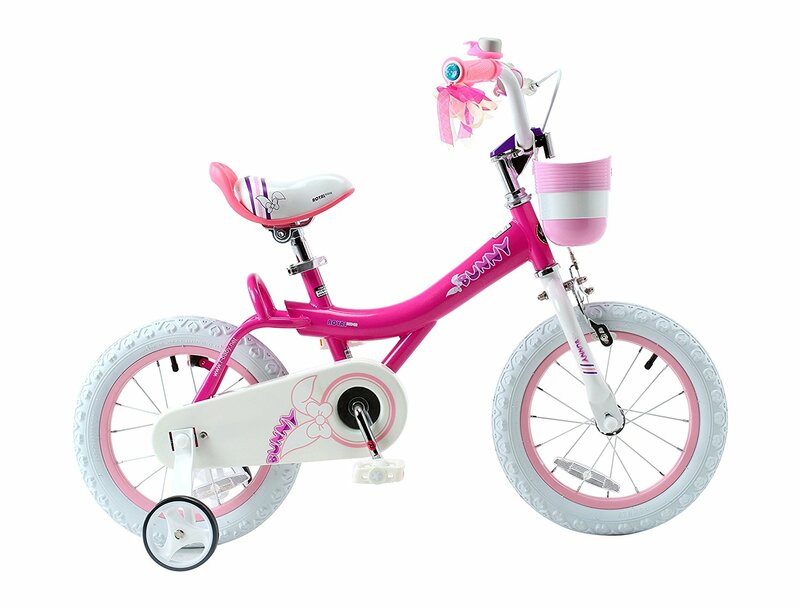 This bike includes water bottle (BPA free) with the holder, bell, assembly tools, kickstand, and the training wheels. 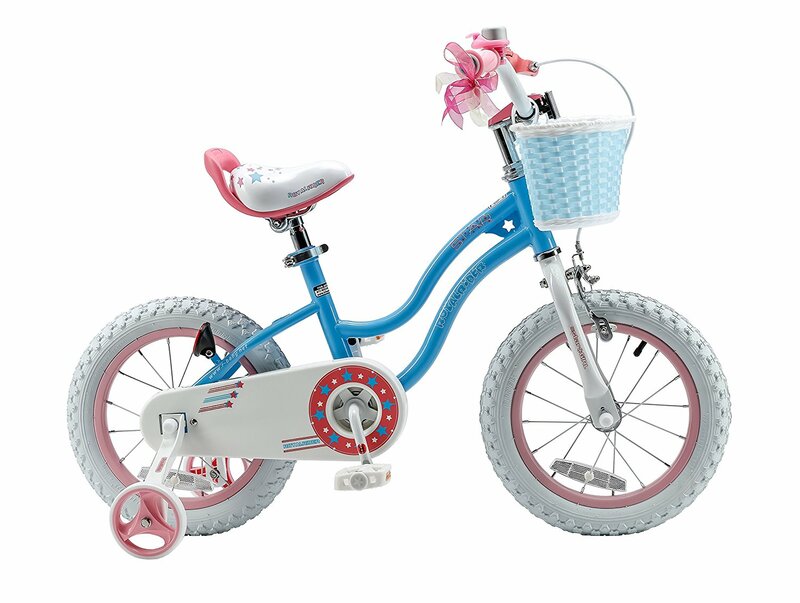 Users love RoyalBaby RB18B-6P BMX Freestyle Kids Bike as it looks great, well built, sturdy, durable, and comfortable. It is easy to assemble and adjust. Kids love to ride it all the time and find it is easy to ride on the grass, dirt tracks, and the pavement. They love the bell and the water bottle too which is a selling point. 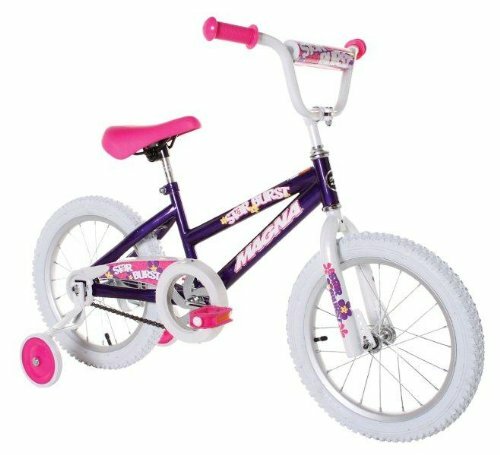 However, RoyalBaby RB18B-6P BMX Freestyle Kids Bike's brakes and pedals need some fine-tuning. The quality of the water bottle is low but easy to fit a different brand water bottle into the holder. A few, feel that the water bottle holder does not fit well between the seat and a rear tire, and the full water bottle can weigh the water bottle holder down and touch the tire. 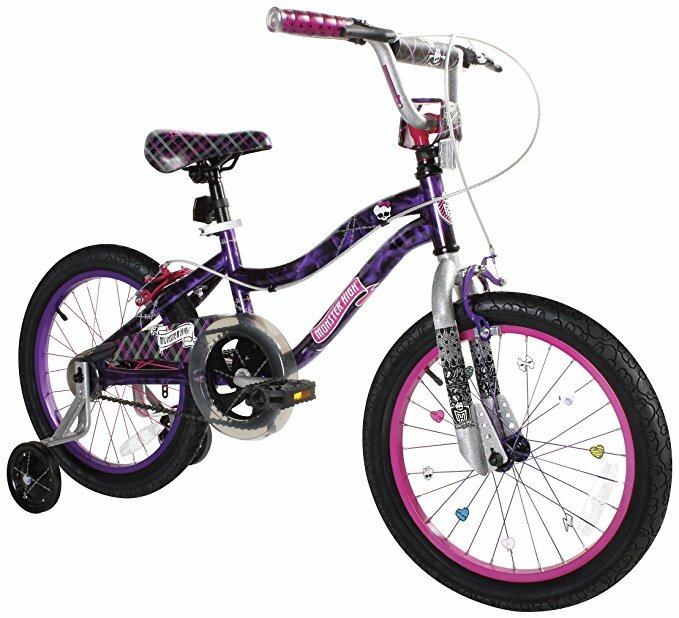 Overall Royalbaby RB18B-6P BMX Freestyle Kids Bike is a fun, colorful bike that will get any child excited. 12 inch suitable for child, whose height 33"-41", age 2-4 yr old. 14 inch suitable for child, whose height 36" - 47", age 3-5 yr old. 16 inch suitable for child, whose height 41" - 53", age 4-7 yr old. 18 inch suitable for child, whose height 43" - 59", age 5-9 yr old. The bike looks good, and kids love to ride it all the time. This bike is well built, sturdy, heavy, and tall. I convinced him to go to bed first and promised he'd be able to ride his bike the first thing tomorrow morning. he loves it and wants to go out on bike rides all the time! I bought this bike for my 5-yr old as his first "big kid" bike. At first, I thought it's me who did something wrong. As if learning to ride a bike isn't frustrating enough...lots of tears shed over this bike. so this was his first real big boy bike. They're kind of heavy and a little tall, but our 4.5 year olds were riding the 16 inch ones, for short distances by themselves, without training wheels within 15 minutes (have been on striders since age 2). He saw the package sitting there and really wanted to ride the bike immediately. I've had to carry it back a block when my son has gotten tired/frustrated with riding his bike, and that wasn't fun.I liked that it came with a water bottle and holder. It is great for a first bike. The big drawback is that it says RoyalBaby all over the bike. Not a big enough deal to go through all the time and effort to deal with Amazon/or Royal Baby, so looking to get another inner tube. It looks pretty nice and was a gift for my little cousin. The bike looks like the picture. Amazon suggested that I contact the manufacturer (royalbaby) who's located in China, however upon looking at their website there's no indication of a warranty.. I ordered this from Amazon Warehouse Deals in a damaged box. It seems to me that royal baby is just a supplier based in China and they partner with amazon or whoever the seller is, and one of those entities should be the one to honor a warranty. No issues putting it together, everything has stayed tight and works well. The big drawback is that it literally says Royal Baby all over it. Tires are good. Kids love the big and thick black tires. Soft wide tires make it easy to ride. Brakes need some fine-tuning. * "Tires won't hold air" - I inflated tires to 35 psi 4 days ago and they're still full. She also loves the big, thick black tires. Lots of traction and soft wide tires make it easy to ride. Brakes were a little messy to get them to work right but after a few adjustments they seem to be working well. However, the build of this bike along with the tires seem to make it a little more manageable. Super soft rubber tires wore out in 2 months. Eventually the rubbing will damage the tire. My daughter even mentioned that the bike seemed to ride much smoother after my adjustments. The bell is adorable, and kids love to ding it constantly while riding. My son loves his new bike. The bike looks good and my son loves the way it rides. The little bell is adorable, my son dings it constantly while he's riding. This bike is really well made, easy to put together, and the perfect size for my son. Well, this started happening every time my son rode the bike. My son loves it, we'd it when my son was 3 and now he's is 5.5. We just need to inflate the wheels from time to time which is fine. We got the red one and our son loves it. It seemed that my husband was spending more time fixing the bike than my son was riding the bike. love the adjustable seat, so his friends can ride it. It is easy to assemble and adjust. The instructions are clear. Well built, easy to build and adjust. Assembly went well and our daughter loves it. He loves the orange color, it's well built and sturdy. These bikes are VERY well made and include features that I wouldn't have expected e.g. 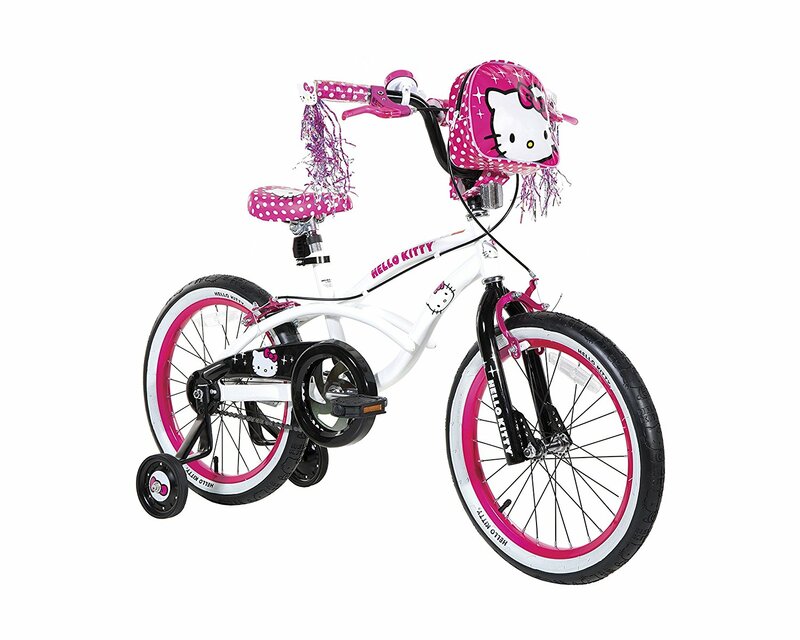 a back brake, water bottle & holder, multiple cute reflectors & very well made training wheels. 9/10 on an scale of easiness, 10 being super easy. We love this bike, assembly maybe 15 minutes. Easy to put together and sturdy. it's easy to ride on grass or dirt tracks as well as pavement. It's also well built enough that I know it'll be perfect for when my youngest one gets big enough to ride as well. Really easy to put together, instructions are clear. 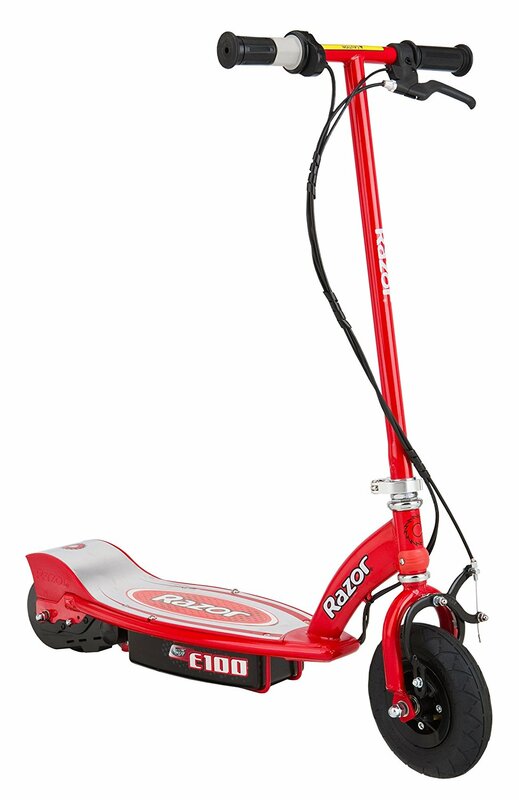 Easy to ride, control, and turn around. Easy to stop with handbrake or pedals. Easy to ride on the grass, dirt tracks, and the pavement. Pedals keep falling off. He'd total control, easy to pedal, turn around & stop, (with hand brake or pedals). But we'd trouble to install the pedals: The right pedal was installed perfectly, but the left pedal couldn't fit into the screw. The problem is his left foot pedal keeps falling off the bike every time he rides it, which is dangerous if he it standing on the pedals vs sitting. First ride around the neighborhood went well, the bike being easy to control via foot pedal breaks and a handlebar brake, which will get the young rider used to using that for when they graduate to a larger bike that doesnt have the foot pedal brakes. It's now much easier to pedal and my son loves it. my 4 year old loves this bike BUT the right pedal keeps falling off. This bike comes mostly assembled, just need to install pedals, handlebar, training wheels (or kickstand), reflectors and bell. Just have to put together the handlebars (duh), training wheels, seat and pedals. Easy to assemble, it took about 1/2hr with my 12YO son helping. Kids love the water bottle holder and the bell. The quality of the water bottle is low but easy to fit a different brand water bottle into the holder. The water bottle holder does not fit well between the seat and a rear tire. The full water bottle can weigh the cage down and touch the tire. He loves the water bottle too. My daughter loves the water bottle holder and the bell. Love that it comes with a water bottle holder. The water bottle holder is perfect. The water bottle itself is cheap but easy to fit a different brand water bottle into the holder. Only negative is the water bottle rack is easily bent, so full water bottle can weigh it down and will touch tire. The big selling point was the water bottle holder, but he loves having a bell too. Just remember to keep the water bottles full of fresh water.. The water bottle is a cool extra feature. LOVE LOVE LOVE this bike.